It's a simple question, but not so simple an answer to explain—especially to young children. 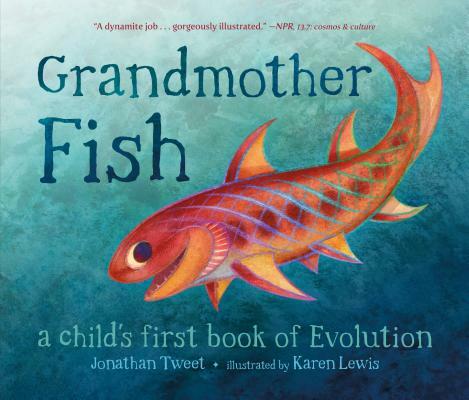 Charles Darwin's theory of common descent no longer needs to be a scientific mystery to inquisitive young readers. Meet Grandmother Fish. Jonathan Tweet has been an innovative game designer for over 25 years and a fan of evolution for even longer. His award-winning games are well-known for engaging the players’ imaginations and encouraging creative participation. Grandmother Fish, his first children's book, took 15 years to complete. It began when he couldn't find a book to help him teach his daughter about evolution, so he decided to write one himself.